A bird hide has been opened in the Cairngorms as part of a project to protect habitats for wading birds which are in decline across the country. A path will be created in the Cairngorms to connect two attractions in an attempt to keep tourists in the area for longer. A series of writing workshops to explore relationships with the Cairngorms National Park will take place later this month. A Moray castle which was declared unsafe for public access more than 15 years ago is being given a major refurbishment. The former Spittal of Glenshee Hotel is to get a new lease of life after it suffered from a devastating fire in 2014. To the person who lost their fridge can you please pick it up. A wave of cold air from the Arctic has arrived in Scotland, prompting the first snow gate closure of the season. An Indonesian woman living thousands of miles away in Speyside has described her anxious wait to find out if her family survived a massive earthquake. Equipment is being made available to farmers in Moray to help protect the home of endangered birds. A two-year project has been launched in the Cairngorms to protect rivers in an effort to nurture wildlife. Emergency services attended the site of a road collision involving a van this morning. There are few things more glorious than celebrating Scotland’s rich heritage at high summer. A Moray village has saved its treasured telephone box within minutes of it being pulled out of the ground and towed away on the back of a truck. Moray will soon become a must-visit destination for mountain biking of all abilities as work begins on a new biking skills area. Two politicians have demanded a long-term solution to protect a vulnerable historic bridge. A Cairngorms community has embarked on a massive project to create a poignant tribute later this year. Brazen thieves have stolen almost £1,300 worth of whisky from specialist shops in the industry’s heartland. A village shopkeeper has issued a warning for others to be on their guard after “professional” crooks targeted him with an elaborate ruse. A Cairngorms museum has reopened its doors following a massive refurbishment to better showcase the rich heritage of the area. A Moray museum is preparing to reopen its doors again following a massive refurbishment. An abandoned secondary school in the Cairngorms will be demolished to make way for new homes. Police closed a north-east road due to drifting snow. The darkest corners of the galaxy could soon become the latest attraction to draw tourists to Speyside. 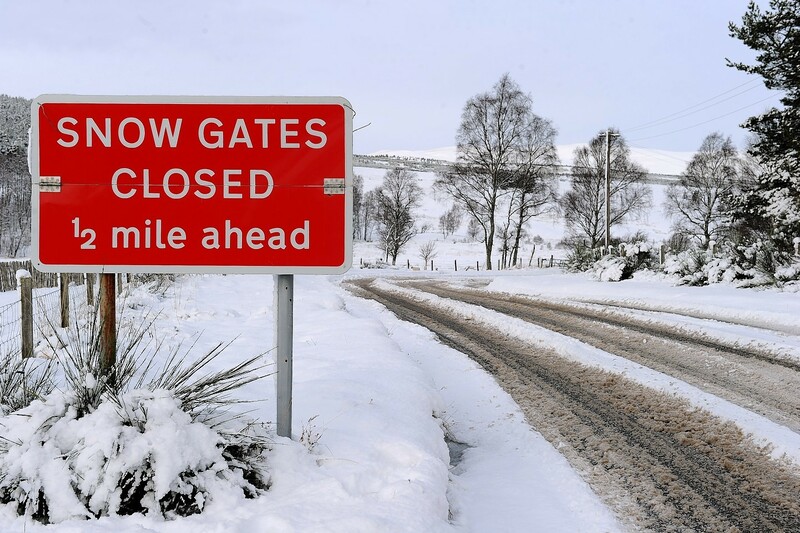 The snow gates on the A939 Lecht road have been closed as bad weather continues to blight the north-east. The gates, at Cockbridge and Bridge of Leachd, near Tomintoul, were shut at about 7.20pm. Motorists have been advised to use alternative routes. A north-east policeman whose duties included guarding the Royal Family has died after 14 years in a coma after a horrific car crash. School buildings that have lain dormant in Moray for nearly 20 years could be bulldozed to make way for new homes. Under-utilised parts of Moray’s vast woodland have been earmarked as a way to boost the region’s economy. Police are appealing for witnesses after a Brazilian woman died in a crash on one of the north-east's most popular tourist routes.